I prefer my water frozen. But rivers are still pretty cool … and as spring and summer comes into focus, so does water related adventure. And Tasmania has it all: tarns, huge lakes and dams, impressive rivers, incredible coastal inlets and harbors like Port Davey on the west coast. 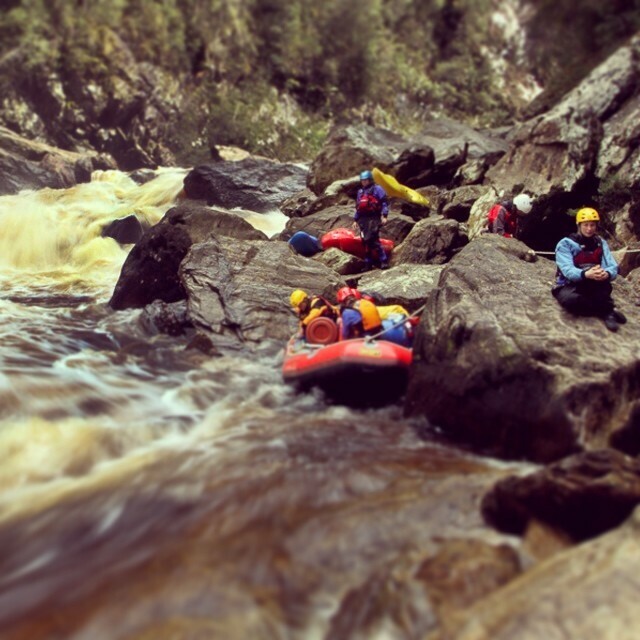 The Snowy River Extreme Race is a whitewater event held on the iconic Snowy River in Kosciuszko National Park. The Event takes place on the October long weekend and consists of two races; an Expert race, and an Intermediate race. Both races take place on the stretch of whitewater between Munyang power station and Island Bend campground. The 2017 race will be held this Sunday the 1st of October. The Expert race is a pairs time trial on a Class III- IV stretch of whitewater. The Expert race starts below the can-opener rapid and finishes at the rafters track. The expert race is approximately 2km. The intermediate race is a pairs time trial on a grade III stretch of whitewater. The Intermediate race starts at the rafters track and finishes at the flying fox cable. The intermediate race is approximately 1.7km. This race is a pairs time trial race using whitewater appropriate packrafts or Inflatable kayaks. The race will take place on the same section as the Intermediate race. This forum will be an opportunity for residents to hear about the impacts of aerial spraying of the herbicides Clopyralid, Glyphosate and Metsulfuron Methyl in the plantations around Bright and surrounding townships. Bright Elderly Citizens Club, Cobden street, Bright. Guest speaker: Anthony Amis, Friends of the Earth. For further information, please check the Bright Community aerial spraying concerns facebook page. who – or what – is to blame for declining trout population? In the following piece from The Weekly Times anglers accuse the environmental policies of the Victorian government for “ruining the state’s trout fishing areas in the high country”. “Anglers say the past season was disastrous in terms of lost brown and rainbow trout populations, and fear famous trout rivers are now years from recovery. “It was the worst trout fly fishing season in living memory,” Greenwells Fly Fishing Club at Albury president Des Walters said. Many blame the widespread removal of non-native willows and poplars on public land under government environmental policy as the chief cause. For the past four years, the backcountry film festival has been attracting good numbers of people and is showing in more locations. At previous Melbourne shows, we have added a film about skiing and boarding on The Bluff, and this year saw OFF GRID, a new effort on Mt Bogong from SoO Airtime. Films can be in two length categories. We hope to show an hours worth of short films (3 to 7 minutes) then up to 2 longer films (30 – 40 minutes). At this point we are looking at doing a Melbourne showing, with the ability to offer the festival to other places once its packaged up. And get out there and getting filming! As we wait patiently for cooler weather and serious snow falls, you may enjoy this one. Its the pilot issue of a newsprint publication. The previous one focused on all things snow and was called The Drift. The Watershed is a collaborative newsprint publication between The Usual (‘The Usual is a creative team with a penchant for the outdoors’) and Patagonia to celebrate the joy of simple fly fishing, healthy rivers, dam busting, and sustainably sourced food. 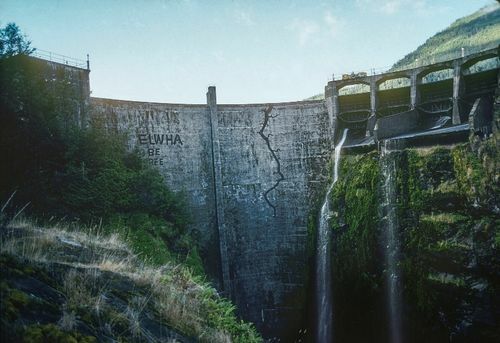 The Watershed features Patagonia founder Yvon Chouinard, Patagonia fly fishing ambassador April Vokey, DamNation producer Matt Stoecker, director Travis Rummel, 1% for the Planet co-founder Craig Mathews, dam buster Katie Lee. With contributions by Malcolm Johnson, Jeremy Koreski, Paul Greenberg, Jeanine Pesce, Keith Malloy, Trevor Gordon, Stefan Knecht, Jim Mangan, and others. Pick up your Spring/Summer 2014 copy at select Patagonia stores worldwide. Brainsick Productions have released a lovely 6 minute meditation on whitewater paddling in Australia called Three Rivers. It reflects on the early descents of the Franklin, where paddling parties weren’t really sure of what awaited them down river, then shifts to the Mitta Mitta, which flows from Victoria’s high country, and finishes on the Herbert River in Queensland.